Chapter 120 - General Assembly. Article 1 - Apportionment of Members; Compensation and Allowances. § 120-2. House apportionment specified. § 120-2.1. Severability of Senate and House apportionment acts. § 120-2.2:	Repealed by Session Laws 2013-343, s. 1, effective July 23, 2013. § 120-2.3. Contents of judgments invalidating apportionment or redistricting acts. § 120-2.4. Opportunity for General Assembly to remedy defects. § 120-2.5: Repealed by Session Laws 2016-125, s. 22(f), effective December 16, 2016. § 120-3. Pay of members and officers of the General Assembly. § 120-3.1. Subsistence and travel allowances for members of the General Assembly. § 120-4: Repealed by Session Laws 1985 (Reg. Sess. 1986), c. 1014, s. 40(b). § 120-4.1. Repealed by Session Laws 1973, c. 1482, s. 3. § 120-4.2. Repeal of Legislative Retirement Fund. §§ 120-4.3 through 120-4.7. Reserved for future codification purposes. Article 1A - Legislative Retirement System. § 120-4.9. Retirement system established. § 120-4.10. Administration of retirement system. § 120-4.12A. Reciprocity of creditable service with other state-administered retirement systems. § 120-4.13. Transfer of membership and benefits. § 120-4.14. Purchase of prior service. § 120-4.15. Repayment of contributions. § 120-4.16. Repayments and purchases. § 120-4.17. Assets of retirement system. § 120-4.18. Management of funds. § 120-4.19. Contributions by the members. § 120-4.20. Contributions by the State. § 120-4.21. Service retirement benefits. § 120-4.22. Disability retirement benefits. § 120-4.22A. Post-retirement increases in allowances. § 120-4.23. Reexamination for disability retirement allowance. § 120-4.24. Return to membership of former member. § 120-4.25. Return of accumulated contributions. § 120-4.26. Benefit payment options. § 120-4.26A. Benefits on death after retirement. § 120-4.28. Survivor's alternate benefit. § 120-4.29. Exemption from garnishment, attachment. § 120-4.30. Termination or partial termination; discontinuance of contributions. § 120-4.31. Internal Revenue Code compliance. § 120-4.32. Deduction for payments allowed. § 120-4.33. Forfeiture of retirement benefits for certain felonies. § 120-4.33A. Forfeiture of retirement benefits for certain felonies related to employment or holding office. § 120-4.33B. Prohibition on purchase of forfeited service. § 120-4.34. Improper receipt of decedent's retirement allowance. Article 2 - Duty and Privilege of Members. § 120-5. Presiding officers may administer oaths. § 120-6. Members to convene at appointed time and place. § 120-6.1. Request that reconvened session not be held. § 120-7. Penalty for failure to discharge duty. § 120-8. Expulsion for corrupt practices in election. § 120-9. Freedom of speech. § 120-10: Repealed by Session Laws 2005-3, s. 1, effective March 10, 2005. § 120-10.1. Contesting a seat. § 120-10.3. Initiating a contest. § 120-10.4. Answering a notice of intent. § 120-10.5. Filings and service. § 120-10.8. Referral to committee. § 120-10.9. Basis for decision. § 120-10.11. Judicial proceedings abated. § 120-10.12. Determination of house not reviewable. § 120-10.13. Bad faith costs assessed. § 120-11: Repealed by Session Laws 2005-3, s. 1, effective March 10, 2005. Article 3A - Sessions; Electronic Voting. § 120-11.1. Time of meeting. § 120-11.2. Installation and use of electronic voting apparatus. Article 4 - Reports of Officers to General Assembly. § 120-12. Reports from State institutions and departments. § 120-12.1. Reports on vacant positions in the Judicial Department and two other departments. § 120-13: Repealed by Session Laws 1961, c. 243, s. 1. Article 5 - Investigating Committees. § 120-14. Power of committees. § 120-15. Chairman may administer oaths. § 120-16. Pay of witnesses. § 120-17. Appearance before committee. § 120-18. Appeal from denial of right to be heard. § 120-19. State officers, etc., upon request, to furnish data and information to legislative committees or commissions. Article 5A - Committee Activity. § 120-19.1. Hearings; examination of witnesses; counsel. § 120-19.2. Invitations to witnesses; when hearings and examinations held; subpoenas. § 120-19.3. Witness fees and expenses. § 120-19.4. Failure to respond to subpoena or refusal to testify punishable as contempt. § 120-19.4A. Requests to State Bureau of Investigation for background investigation of a person who must be confirmed by legislative action. § 120-19.5. Committee staff assistance. § 120-19.6. Interim committee activity; rules. § 120-19.8. Limitation by resolution of either house. § 120-19.9. Local acts affecting State highway system to be considered by transportation committees. Article 6 - Acts, Journals, and Reports to the General Assembly. § 120-20. When acts take effect. § 120-20.1. Coded bill drafting. §§ 120-21 through 120-22. Repealed by Session Laws 1969, c. 1184, s. 8. §§ 120-23 through 120-25. Transferred to G.S. 147-43.1 to 147-43.3 by Session Laws 1943, c. 543. § 120-26. Repealed by Session Laws 1943, c. 543. § 120-27. Journals; preparation and filing by clerks of houses. § 120-28. Journals indexed by clerks. § 120-29. Journals deposited with Secretary of State. § 120-29.1. Approval of bills. § 120-29.5. State agency reports to the General Assembly. § 120-30: Repealed by Session Laws 1961, c. 24. Article 6A - Submission of Acts. §§ 120-30.1 through 120-30.9: Repealed by Session Laws 1965, c. 1142. § 120-30.9B. Statewide statutes; Bipartisan State Board of Elections and Ethics Enforcement. § 120-30.9C. The judicial system; Administrative Office of the Courts. § 120-30.9D. Constitutional amendments; Secretary of State. § 120-30.9E. Counties; County Attorney. § 120-30.9F. Municipalities; municipal attorney. § 120-30.9G. School Administrative Units; State Board of Education; Local Boards of Education Attorney. § 120-30.9H. Decision letters of U. S. Attorney General published in North Carolina Register. § 120-30.9I. Alternate submission authority. § 120-30.9J. Repeal of acts and ordinances which were denied preclearance. Article 6B - Legislative Research Commission. § 120-30.10. Creation; appointment of members; members ex officio. § 120-30.11. Time of appointments; terms of office. § 120-30.13. Cochairmen; rules of procedure; quorum. § 120-30.15. Repealed by Session Laws 1969, c. 1184, s. 8. § 120-30.16. Cooperation with Commission. § 120-30.17. Powers and duties. § 120-30.18. Facilities; compensation of members; payments from appropriations. §§ 120-30.19 through 120-30.23. Reserved for future codification purposes. Article 6C - Review of Administrative Rules. §§ 120-30.24 through 120-30.28: Repealed by Session Laws 1983, c. 927, s. 2. § 120-30.29: Repealed by Session Laws 1981, c. 688, s. 8. § 120-30.29A: Repealed by Session Laws 1983, c. 927, s. 2. §§ 120-30.30, 120-30.31: Repealed by Session Laws 1981, c. 688, s. 8. § 120-30.32: Repealed by Session Laws 1983, c. 927, s. 2. § 120-30.33: Repealed by Session Laws 1981, c. 688, s. 8. §§ 120-30.34 through 120-30.40: Repealed by Session Laws 1983, c. 927, s. 2. Article 6D - Local Government Fiscal Information Act. § 120-30.44. Fiscal note defined. § 120-30.45. Fiscal note on legislation. § 120-30.46. Fiscal information related to requests for State appropriations. § 120-30.47. Legislation introduced by request. § 120-30.48. Fiscal impact of administrative rules. § 120-30.49. Compiling federal mandates; annual report. Article 7 - Legislative Services Commission. § 120-31. Legislative Services Commission organization. § 120-32.01. Information to be supplied. § 120-32.02. Legislative commissions' and committees' employees and consultants. § 120-32.03. Grants and contributions to legislative commissions and committees. § 120-32.04. North Carolina Youth Legislative Assembly Fund. § 120-32.1. Use and maintenance of buildings and grounds. § 120-32.1A. Evacuation of legislative buildings and grounds. § 120-32.2. General Assembly Special Police. § 120-32.3. Oath of General Assembly Special Police officers. § 120-32.4. Subpoena and contempt powers. § 120-32.5. Leave for temporary employees. § 120-32.6. Certain employment authority. § 120-33. Duties of enrolling clerk. § 120-34. Printing of session laws; numbering of session laws. § 120-35. Payment for expenses. § 120-36. Legislative Services Officer of the General Assembly. Article 7A - Fiscal Research Division. § 120-36.1. Fiscal Research Division of Legislative Services Commission established. § 120-36.4: Repealed by Session Laws 1983 (Regular Session 1984), c. 1034, s. 176. § 120-36.5. Office space and equipment. § 120-36.6. Legislative Fiscal Research staff participation. § 120-36.7. Long-term fiscal notes. Article 7B - Research Division. § 120-36.8. Certification of legislation required by federal law. § 120-36.9: Reserved for future codification purposes. § 120-36.10: Reserved for future codification purposes. Article 7C - Program Evaluation. § 120-36.11. Program Evaluation Division established; definitions. § 120-36.12. Functions of Program Evaluation Division. § 120-36.13. Biennial work plan for evaluations and measurability assessments. § 120-36.14. Contents of an evaluation report by the Program Evaluation Division. § 120-36.15. Joint Legislative Program Evaluation Oversight Committee established. § 120-36.16. Powers and duties of Joint Legislative Program Evaluation Oversight Committee. § 120-36.17: Repealed by Session Laws 2018-101, s. 1, effective June 26, 2018. Article 7D - Codification of Statutes. § 120-36.21. Codification of Statutes. § 120-36.22. Revisor of Statutes. Article 8 - Elected Officers. § 120-37. Elected officers; salaries; staff. §§ 120-38 through 120-39: Repealed by Session Laws 1969, c. 1184, s. 7. §§ 120-40 through 120-47: Recodified as G.S. 120-47.1 through 120-47.10. §§ 120-47.1 through 120-47.12: Repealed by Session Laws 2006-201, s. 17, effective January 1, 2007. Article 10 - Influencing Public Opinion or Legislation. §§ 120-48 through 120-55: Repealed by Session Laws 1991, c. 740, s. 1.2. Article 11 - Legislative Intern Program. § 120-56: Repealed by Session Laws 2011-266, s. 1.10, effective July 1, 2011. § 120-57: Repealed by Session Laws 2017-102, s. 19, effective July 12, 2017. Article 12 - Commission on Children with Special Needs. §§ 120-58 through 120-70. Repealed by Session Laws 1999-395, s. 21B.1, effective July 1, 1999. Article 12A - Joint Legislative Utility Review Committee. § 120-70.1: Repealed by Session Laws 2011-291, s. 1.2(b), effective June 24, 2011. § 120-70.2: Repealed by Session Laws 2011-291, s. 1.2(b), effective June 24, 2011. § 120-70.3: Repealed by Session Laws 2011-291, s. 1.2(b), effective June 24, 2011. § 120-70.4: Repealed by Session Laws 2011-291, s. 1.2(b), effective June 24, 2011. § 120-70.5: Repealed by Session Laws 2011-291, s. 1.2(b), effective June 24, 2011. § 120-70.6: Repealed by Session Laws 2011-291, s. 1.2(b), effective June 24, 2011. Article 12B - Commission on Children and Youth. §§ 120-70.7 through 120-70.30: Repealed by Session Laws 1989, c. 802, s. 10.3. Article 12C - Joint Select Committee on Low-Level Radioactive Waste. § 120-70.31: Repealed by Session Laws 2011-266, s. 1.31(a), effective July 1, 2011 and Session Laws 2011-291, s. 1.2(a) effective June 24, 2011. § 120-70.32: Repealed by Session Laws 2011-266, s. 1.31(a), effective July 1, 2011 and Session Laws 2011-291, s. 1.2(a) effective June 24, 2011. § 120-70.33: Repealed by Session Laws 2011-266, s. 1.31(a), effective July 1, 2011 and Session Laws 2011-291, s. 1.2(a) effective June 24, 2011. § 120-70.34: Repealed by Session Laws 2011-266, s. 1.31(a), effective July 1, 2011 and Session Laws 2011-291, s. 1.2(a) effective June 24, 2011. § 120-70.35: Repealed by Session Laws 2011-266, s. 1.31(a), effective July 1, 2011 and Session Laws 2011-291, s. 1.2(a) effective June 24, 2011. § 120-70.36: Repealed by Session Laws 2011-266, s. 1.31(a), effective July 1, 2011 and Session Laws 2011-291, s. 1.2(a) effective June 24, 2011. § 120-70.37: Repealed by Session Laws 2011-266, s. 1.31(a), effective July 1, 2011 and Session Laws 2011-291, s. 1.2(a) effective June 24, 2011. Article 12D - Environmental Review Commission. § 120-70.42. Membership; cochairs; vacancies; quorum. § 120-70.43. Powers and duties. § 120-70.45. Compensation and expenses of members. § 120-70.48. Reserved for future codification purposes. § 120-70.49. Reserved for future codification purposes. Article 12E - Joint Legislative Transportation Oversight Committee. § 120-70.50. Creation and membership of Joint Legislative Transportation Oversight Committee. § 120-70.51. Purpose and powers of Committee. § 120-70.52. Organization of Committee. §§ 120-70.53 through 120-70.59. Reserved for future codification purposes. Article 12F - Joint Legislative Commission on Seafood and Aquaculture. § 120-70.60: Repealed by Session Laws 2011-291, s. 1.2(b), effective June 24, 2011. § 120-70.61: Repealed by Session Laws 2011-291, s. 1.2(b), effective June 24, 2011. § 120-70.62: Repealed by Session Laws 2011-291, s. 1.2(b), effective June 24, 2011. § 120-70.63: Repealed by Session Laws 2011-291, s. 1.2(b), effective June 24, 2011. § 120-70.64: Repealed by Session Laws 2011-291, s. 1.2(b), effective June 24, 2011. § 120-70.65: Repealed by Session Laws 2011-291, s. 1.2(b), effective June 24, 2011. § 120-70.66: Repealed by Session Laws 2011-291, s. 1.2(b), effective June 24, 2011. Article 12G - Commission on the Family. §§ 120-70.70 through 120-70.75: Repealed by Session Laws 1997-443, s. 12.15. §§ 120-70.76 through 120-70.79. Reserved for future codification purposes. Article 12H - Joint Legislative Education Oversight Committee. § 120-70.80. Creation and membership of Joint Legislative Education Oversight Committee. § 120-70.81. Purpose and powers of Committee. § 120-70.82. Organization of Committee. § 120-70.84. Reports to the Committee. § 120-70.85. Reserved for future codification purposes. § 120-70.86. Reserved for future codification purposes. § 120-70.87. Reserved for future codification purposes. § 120-70.88. Reserved for future codification purposes. § 120-70.89. Reserved for future codification purposes. Article 12I - Joint Legislative Oversight Committee on Early Childhood Education and Development Initiatives. §§ 120-70.90 through 120-70.92: Repealed by Session Laws 1996, Second Extra Session, c. 18, s. 24.29(g). Article 12J - Joint Legislative Oversight Committee on Justice and Public Safety. § 120-70.93. Creation and membership of Joint Legislative Oversight Committee on Justice and Public Safety. § 120-70.94. Purpose and powers of Committee. § 120-70.95. Organization of Committee. §§ 120-70.96 through 120-70.99. Reserved for future codification purposes. Article 12K - Joint Legislative Administrative Procedure Oversight Committee. § 120-70.100. Creation and membership of Joint Legislative Administrative Procedure Oversight Committee. § 120-70.101. Purpose and powers of Committee. § 120-70.102. Organization of Committee. § 120-70.103: Repealed by Session Laws 2009-125, s. 5, effective October 1, 2009. § 120-70.104. Reserved for future codification purposes. Article 12L - Revenue Laws Study Committee. § 120-70.105. Creation and membership of the Revenue Laws Study Committee. § 120-70.106. Purpose and powers of Committee. § 120-70.107. Organization of Committee. § 120-70.108: Repealed by Session Laws 2011-266, s. 1.15, effective July 1, 2011. § 120-70.109. Reserved for future codification purposes. Article 12M - Joint Legislative Health Care Oversight Committee. § 120-70.110: Repealed by Session Laws 2011-291, s. 1.6(b), effective June 24, 2011. § 120-70.111: Repealed by Session Laws 2011-291, s. 1.6(b), effective June 24, 2011. § 120-70.112: Repealed by Session Laws 2011-291, s. 1.6(b), effective June 24, 2011. §§ 120-70.113 through 120-70.119. Reserved for future codification purposes. Article 12N - Joint Legislative Growth Strategies Oversight Committee. §§ 120-70.123 through 120-70.129: Expired. Article 12O - Joint Legislative Economic Development Oversight Committee. § 120-70.130. Creation and membership of Joint Legislative Economic Development and Global Engagement Oversight Committee. § 120-70.131. Purpose and powers of Committee. § 120-70.132. Organization of Committee. Article 12P - Joint Legislative Elections Oversight Committee. § 120-70.140. Creation and membership of Joint Legislative Elections Oversight Committee. § 120-70.141. Purpose and powers of Committee. § 120-70.142. Organization of Committee. Article 12Q - Joint Legislative Emergency Management Oversight Committee. § 120-70.150. Creation and membership of Joint Legislative Emergency Management Oversight Committee. § 120-70.151. Purpose and powers of Committee. § 120-70.152. Organization of Committee. § 120-70.153: Reserved for future codification purposes. § 120-70.154: Reserved for future codification purposes. Article 12R - Joint Legislative Oversight Committee on Unemployment Insurance. § 120-70.155. (Expires July 1, 2023) Creation and membership. § 120-70.156. (Expires July 1, 2023) Purpose and powers of Committee. § 120-70.157. (Expires July 1, 2023) Organization of Committee. § 120-70.158. (Expires July 1, 2023) Sunset. Article 13 - Joint Legislative Commission on Governmental Operations. § 120-74. Appointment of members; terms of office. § 120-75. Organization of the Commission. § 120-76. Powers and duties of the Commission. § 120-76.1. Prior consultation with the Commission; reporting requirements. § 120-78. Compensation and expenses of Commission members. §§ 120-80 through 120-84. Reserved for future codification purposes. Article 13A - Joint Legislative Committee to Review Federal Block Grant Funds. §§ 120-84.1 through 120-84.5: Repealed by Session Laws 1987, c. 738, s. 120(d). Article 13B - Joint Legislative Commission on Future Strategies for North Carolina. § 120-84.6: Repealed by Session Laws 2011-266, s. 1.28(a), effective July 1, 2011 and Session Laws 2011-291, s. 1.2(b), effective June 24, 2011. § 120-84.7: Repealed by Session Laws 2011-266, s. 1.28(a), effective July 1, 2011 and Session Laws 2011-291, s. 1.2(b), effective June 24, 2011. § 120-84.8: Repealed by Session Laws 2011-266, s. 1.28(a), effective July 1, 2011 and Session Laws 2011-291, s. 1.2(b), effective June 24, 2011. § 120-84.9: Repealed by Session Laws 2011-266, s. 1.28(a), effective July 1, 2011 and Session Laws 2011-291, s. 1.2(b), effective June 24, 2011. § 120-84.10: Repealed by Session Laws 2011-266, s. 1.28(a), effective July 1, 2011 and Session Laws 2011-291, s. 1.2(b), effective June 24, 2011. § 120-84.11: Repealed by Session Laws 2011-266, s. 1.28(a), effective July 1, 2011 and Session Laws 2011-291, s. 1.2(b), effective June 24, 2011. § 120-84.12: Repealed by Session Laws 2011-266, s. 1.28(a), effective July 1, 2011 and Session Laws 2011-291, s. 1.2(b), effective June 24, 2011. Article 14 - Legislative Ethics Act. § 120-85: Repealed by Session Laws 2006-201, s. 4, effective January 1, 2007. § 120-86. Bribery, economic threats made to influence legislation; violations. § 120-86.1. Personnel-related action unethical. § 120-87. Disclosure of confidential information. § 120-88: Repealed by Session Laws 2006-201, s. 4, effective January 1, 2007. § 120-89: Repealed by Session Laws 2006-201, s. 4, effective January 1, 2007. § 120-90: Repealed by Session Laws 2001-119, s. 2. § 120-91: Repealed by 1987 (Reg. Sess., 1988), c. 1028, s. 3. §§ 120-92 through 120-94: Repealed by Session Laws 2006-201, s. 4, effective January 1, 2007. § 120-95: Repealed by 1987 (Reg. Sess., 1988), c. 1028, s. 3. § 120-96: Repealed by Session Laws 2006-201, s. 4, effective January 1, 2007. § 120-97: Repealed by 1987 (Reg. Sess., 1988), c. 1028, s. 3. § 120-98: Repealed by Session Laws 2006-201, s. 4, effective January 1, 2007. § 120-100. Term of office; vacancies. § 120-101. Quorum; expenses of members. § 120-102. Powers and duties of Committee. § 120-103: Repealed by Session Laws 2006-201, s. 11, effective January 1, 2007. § 120-103.1. Investigations by the Committee. § 120-105. Continuing study of ethical questions. § 120-106. Article applicable to presiding officers. §§ 120-107 through 120-111. Reserved for future codification purposes. Article 14A - Committees on Pensions and Retirement. § 120-111.3. Analysis of legislation. § 120-111.4. Staff and actuarial assistance. § 120-111.5. House Standing Committee on State Personnel. Article 15 - Legislative Actuarial Note Act. § 120-113. Duties and functions of Fiscal Research Division. § 120-114. Actuarial notes; Retirement System cost estimates. §§ 120-115 through 120-120. Reserved for future codification purposes. Article 16 - Legislative Appointments to Boards and Commissions. § 120-122. Vacancies in legislative appointments. § 120-123. Service by members of the General Assembly on certain boards and commissions. § 120-124. Appointments made by legislators. §§ 120-124 through 120-128. Reserved for future codification purposes. Article 17 - Confidentiality of Legislative Communications. § 120-130. Drafting and information requests to legislative employees. § 120-131. Documents produced by legislative employees. § 120-131.1. Requests from legislative employees for assistance in the preparation of fiscal notes and evaluation reports. § 120-132. Testimony by legislative employees. §§ 120-135 through 120-139. Reserved for future codification purposes. Article 18 - Review of Proposals to License New Occupations and Professions. §§ 120-140 through 120-149: Expired. Article 18A - Review of Proposals to License New Occupations and Professions. § 120-149.1: Repealed by Session Laws 2011-291, s. 1.2(b), effective June 24, 2011. § 120-149.2: Repealed by Session Laws 2011-291, s. 1.2(b), effective June 24, 2011. § 120-149.3: Repealed by Session Laws 2011-291, s. 1.2(b), effective June 24, 2011. § 120-149.4: Repealed by Session Laws 2011-291, s. 1.2(b), effective June 24, 2011. § 120-149.5: Repealed by Session Laws 2011-291, s. 1.2(b), effective June 24, 2011. § 120-149.6: Repealed by Session Laws 2011-291, s. 1.2(b), effective June 24, 2011. Article 19 - Agriculture and Forestry Awareness Study Commission. § 120-150. Creation; appointment of members. § 120-152. Subsistence and travel expenses. § 120-153. Facilities and staff. § 120-155. Reserved for future codification purposes. § 120-156. Reserved for future codification purposes. § 120-157. Reserved for future codification purposes. Article 20 - Joint Legislative Committee on Local Government. § 120-157.2. Purpose and powers of Committee. § 120-157.3. Organization of Committee. § 120-158. Creation of Municipal Incorporations Subcommittee. § 120-160: Repealed by Session Laws 2011-291, s. 1.8(a), effective June 24, 2011. § 120-161: Repealed by Session Laws 2011-291, s. 1.8(a), effective June 24, 2011. § 120-162. Reserved for future codification purposes. § 120-166. Additional criteria; nearness to another municipality. § 120-167. Additional criteria; population. § 120-168. Additional criteria; development. § 120-169. Additional criteria; area unincorporated. § 120-169.1. Additional criteria; level of development, services; financial impact on other local governments. § 120-170. Findings as to services. § 120-171. Procedures if findings made. § 120-173. Modification of petition. § 120-174. Deadline for recommendations. §§ 120-175 through 120-179. Reserved for future codification purposes.  Article 21 - The North Carolina Study Commission on Aging. § 120-180: Repealed by Session Laws 2011-291, s. 1.6, effective June 24, 2011. § 120-181: Repealed by Session Laws 2011-291, s. 1.6, effective June 24, 2011. § 120-182: Repealed by Session Laws 2011-291, s. 1.6, effective June 24, 2011. § 120-183: Repealed by Session Laws 2011-291, s. 1.6, effective June 24, 2011. § 120-184: Repealed by Session Laws 2011-291, s. 1.6, effective June 24, 2011. § 120-185: Repealed by Session Laws 2011-291, s. 1.6, effective June 24, 2011. § 120-186: Repealed by Session Laws 2011-291, s. 1.6, effective June 24, 2011. § 120-186.1: Repealed by Session Laws 2011-291, s. 1.6, effective June 24, 2011. § 120-187: Repealed by Session Laws 2011-291, s. 1.6, effective June 24, 2011. § 120-188: Repealed by Session Laws 2011-291, s. 1.6, effective June 24, 2011. §§ 120-189 through 120-194. Reserved for future codification purposes. Article 22 - The Public Health Study Commission. § 120-195: Repealed by Session Laws 2011-266, s. 1.16(a), effective July 1, 2011 and Session Laws 2011-291, s. 1.6(b), effective June 24, 2011. § 120-196: Repealed by Session Laws 2011-266, s. 1.16(a), effective July 1, 2011 and Session Laws 2011-291, s. 1.6(b), effective June 24, 2011. § 120-197: Repealed by Session Laws 2011-266, s. 1.16(a), effective July 1, 2011 and Session Laws 2011-291, s. 1.6(b), effective June 24, 2011. § 120-198: Repealed by Session Laws 2011-266, s. 1.16(a), effective July 1, 2011 and Session Laws 2011-291, s. 1.6(b), effective June 24, 2011. § 120-199: Repealed by Session Laws 2011-266, s. 1.16(a), effective July 1, 2011 and Session Laws 2011-291, s. 1.6(b), effective June 24, 2011. § 120-200: Repealed by Session Laws 2011-266, s. 1.16(a), effective July 1, 2011 and Session Laws 2011-291, s. 1.6(b), effective June 24, 2011. § 120-201: Repealed by Session Laws 2011-266, s. 1.16(a), effective July 1, 2011 and Session Laws 2011-291, s. 1.6(b), effective June 24, 2011. § 120-202: Repealed by Session Laws 2011-266, s. 1.16(a), effective July 1, 2011 and Session Laws 2011-291, s. 1.6(b), effective June 24, 2011. § 120-203: Repealed by Session Laws 2011-266, s. 1.16(a), effective July 1, 2011 and Session Laws 2011-291, s. 1.6(b), effective June 24, 2011. Article 23 - The Legislative Study Commission on Mental Health, Developmental Disabilities, and Substance Abuse Services. §§ 120-204 through 120-207: Repealed by Session Laws 2006-32, s. 2, effective June 29, 2006. Article 23A - Joint Legislative Oversight Committee on Health and Human Services. § 120-208. Creation and membership of Joint Legislative Oversight Committee on Health and Human Services. § 120-208.1. Purpose and powers of Committee. § 120-208.2. Organization of Committee. § 120-208.4. Reports to the Committee. § 120-209. Creation and membership of Joint Legislative Oversight Committee on Medicaid and NC Health Choice. § 120-209.1. Purpose and powers of Committee. § 120-209.2. Organization of Committee. § 120-209.4. Reports to Committee. § 120-210: Reserved for future codification purposes. § 120-211: Reserved for future codification purposes. § 120-212: Reserved for future codification purposes. § 120-213: Reserved for future codification purposes. § 120-214: Reserved for future codification purposes. Article 24 - The Legislative Study Commission on Children and Youth. § 120-215: Repealed by Session Laws 2011-291, s. 1.5(b), effective June 24, 2011. § 120-216: Repealed by Session Laws 2011-291, s. 1.5(b), effective June 24, 2011. § 120-217: Repealed by Session Laws 2011-291, s. 1.5(b), effective June 24, 2011. § 120-218: Repealed by Session Laws 2011-291, s. 1.5(b), effective June 24, 2011. § 120-219: Repealed by Session Laws 2011-291, s. 1.5(b), effective June 24, 2011. § 120-220: Repealed by Session Laws 2011-291, s. 1.5(b), effective June 24, 2011. § 120-221: Repealed by Session Laws 2011-291, s. 1.5(b), effective June 24, 2011. § 120-222: Reserved for future codification purposes. § 120-223: Reserved for future codification purposes. § 120-224: Reserved for future codification purposes. Article 25 - Joint Legislative Public Assistance Commission. § 120-225: Repealed by Session Laws 2001-424, s. 21.13(a). Article 25A - Legislative Commission on Methamphetamine Abuse. § 120-226. Commission established; purpose; reports. § 120-227. Reserved for future codification purposes. § 120-228. Reserved for future codification purposes. § 120-229. Reserved for future codification purposes. Article 26 - Joint Select Committee on Information Technology. § 120-230. Creation and purpose of the Joint Legislative Oversight Committee on Information Technology. § 120-231. Committee duties; reports. § 120-232. Committee membership; terms; organization; vacancies. § 120-233. Assistance; per diem; subsistence; and travel allowances. § 120-235. Committee subcommittees; noncommittee membership. § 120-236: Repealed by Session Laws 2014-100, s. 7.12(c), effective July 1, 2014. § 120-237. Reserved for future codification purposes. § 120-238. Reserved for future codification purposes. § 120-239. Reserved for future codification purposes. Article 27 - The Joint Legislative Oversight Committee on Mental Health, Developmental Disabilities, and Substance Abuse Services. § 120-240: Repealed by Session Laws 2011-291, s. 1.6(b), effective June 24, 2011. § 120-241: Repealed by Session Laws 2011-291, s. 1.6(b), effective June 24, 2011. § 120-242: Repealed by Session Laws 2011-291, s. 1.6(b), effective June 24, 2011. § 120-243: Repealed by Session Laws 2011-291, s. 1.6(b), effective June 24, 2011. § 120-244: Repealed by Session Laws 2011-291, s. 1.6(b), effective June 24, 2011. Article 28 - Future of the North Carolina Railroad Study Commission. § 120-245: Repealed by Session Laws 2011-266, s. 1.22, effective July 1, 2011, and Session Laws 2011-291, s. 1.7(b), effective June 24, 2011. § 120-246: Repealed by Session Laws 2011-266, s. 1.22, effective July 1, 2011, and Session Laws 2011-291, s. 1.7(b), effective June 24, 2011. § 120-247: Repealed by Session Laws 2011-266, s. 1.22, effective July 1, 2011, and Session Laws 2011-291, s. 1.7(b), effective June 24, 2011. § 120-248: Repealed by Session Laws 2011-266, s. 1.22, effective July 1, 2011, and Session Laws 2011-291, s. 1.7(b), effective June 24, 2011. § 120-249: Repealed by Session Laws 2011-266, s. 1.22, effective July 1, 2011, and Session Laws 2011-291, s. 1.7(b), effective June 24, 2011. § 120-250: Repealed by Session Laws 2011-266, s. 1.22, effective July 1, 2011, and Session Laws 2011-291, s. 1.7(b), effective June 24, 2011. § 120-251: Repealed by Session Laws 2011-266, s. 1.22, effective July 1, 2011, and Session Laws 2011-291, s. 1.7(b), effective June 24, 2011. § 120-252: Repealed by Session Laws 2011-266, s. 1.22, effective July 1, 2011, and Session Laws 2011-291, s. 1.7(b), effective June 24, 2011. § 120-253: Repealed by Session Laws 2011-266, s. 1.22, effective July 1, 2011, and Session Laws 2011-291, s. 1.7(b), effective June 24, 2011. § 120-254: Repealed by Session Laws 2011-266, s. 1.22, effective July 1, 2011, and Session Laws 2011-291, s. 1.7(b), effective June 24, 2011. § 120-255: Repealed by Session Laws 2011-266, s. 1.22, effective July 1, 2011, and Session Laws 2011-291, s. 1.7(b), effective June 24, 2011. § 120-256. Reserved for future codification purposes. § 120-257. Reserved for future codification purposes. Article 29 - Joint Legislative Oversight Committee on Capital Improvements. § 120-258: Repealed by Session Laws 2011-291, s. 1.2(b), effective June 24, 2011. § 120-259: Repealed by Session Laws 2011-291, s. 1.2(b), effective June 24, 2011. § 120-260: Repealed by Session Laws 2011-291, s. 1.2(b), effective June 24, 2011. § 120-261. Creation and membership of Joint Legislative Oversight Committee on Capital Improvements. § 120-262. Purpose and powers of the Committee. § 120-263. Organization of Committee. § 120-264. Reserved for future codification purposes. Article 30 - Joint Legislative Committee on Domestic Violence. § 120-265: Repealed by Session Laws 2011-291, s. 1.4(b), effective June 24, 2011. § 120-266: Repealed by Session Laws 2011-291, s. 1.4(b), effective June 24, 2011. § 120-267: Repealed by Session Laws 2011-291, s. 1.4(b), effective June 24, 2011. § 120-268. Reserved for future codification purposes. § 120-269. Reserved for future codification purposes. § 120-270. Report by State agencies to the General Assembly on ways to reduce incidence of identity theft. § 120-271. Use of likenesses of any seal or coat of arms of the Senate. § 120-272: Reserved for future codification purposes. § 120-273: Reserved for future codification purposes. § 120-274: Reserved for future codification purposes. Article 32 - Joint Legislative Commission on the Department of Transportation Disadvantaged Minority-Owned and Women-Owned Businesses Program. § 120-275: Expired June 30, 2015. § 120-276: Expired June 30, 2015. § 120-277: Expired June 30, 2015. § 120-278: Expired June 30, 2015. § 120-279: Expired June 30, 2015. Article 33 - Joint Legislative Commission on Energy Policy. § 120-285. Creation and membership of Joint Legislative Commission on Energy Policy. § 120-286. Purpose and powers and duties of Commission. § 120-287. Organization of Commission. § 120-288: Reserved for future codification purposes. § 120-289: Reserved for future codification purposes. § 120-290: Reserved for future codification purposes. § 120-291: Reserved for future codification purposes. § 120-292: Reserved for future codification purposes. § 120-293: Reserved for future codification purposes. § 120-294: Reserved for future codification purposes. Article 34 - Joint Legislative Oversight Committee on the North Carolina State Lottery. § 120-295. Creation and membership of the Joint Legislative Oversight Committee on the North Carolina State Lottery. § 120-296. Purpose and powers of Committee. § 120-297. Organization of Committee. § 120-298. Reports to Committee. Article 35 - Joint Legislative Oversight Committee on General Government. § 120-305. Creation and membership of Joint Legislative Oversight Committee on General Government. § 120-306. Purpose and powers of Committee. § 120-307. Organization of Committee. § 120-308. Reports to Committee. Article 36 - Joint Legislative Oversight Committee on Natural and Economic Resources. § 120-310. Creation and membership of Joint Legislative Oversight Committee on Agriculture and Natural and Economic Resources. § 120-311. Purpose and powers of Committee. § 120-312. Organization of Committee. § 120-313. Reports to Committee.